Evan has an older brother and an older sister. When he was 4 years old his mother took his sister to skating lessons. Every time they went Evans mother “lost him.” Soon after his mother put him into classes. 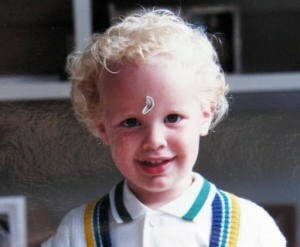 Carol Oldenburg put this banana sticker on Evan Bates' head to get him to sit still for a picture. 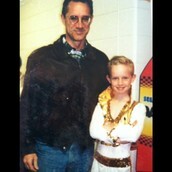 Evan thanks his dad for always supporting him, even when he wore questionable outfits, like this Elvis number. Evan and his grandpa at his first skating competition. In 2000 figure skaters Evan Bates and Emily Samuelson began their skating career together. They accomplished many titles together. They won the bronze medal at the 2001 U.S. Junior Figure Skating Championships. 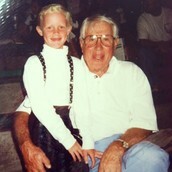 Went on to win the 2002 Intermediate Ice Dance title. 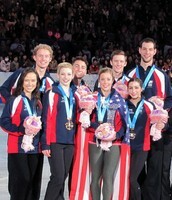 In 2004 the duo won the bronze medal at the novice national ice dancing figure skating competition. They also were champions at the same competition in 2005 and 2008. 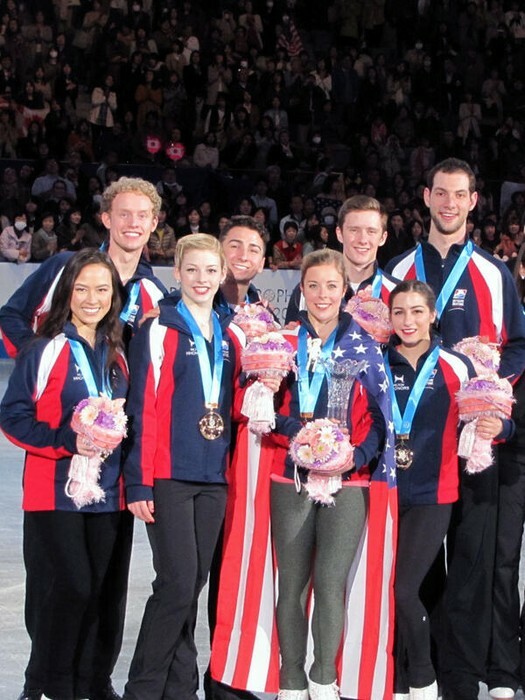 In 2006 and 2009, they won a silver medal at the junior ice dancing figure skating competition and the junior Grand Prix final ice dancing figure skating competition. They were also World Junior champions and many others. 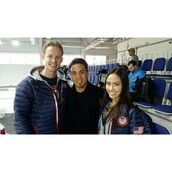 The duo placed 11th at the 2010 Olympic Winter Games. Later Bates suffered a terrible injury for any athlete. 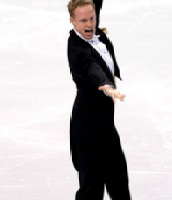 During a training session six months after 2010 Vancouver Winter Olympics, Samuelson’s skate came down on the back of Bates’s leg during a lift, severing his Achilles. He spent ten months recovering from the surgery. The surgery and recovery cost Bates his entire 2010-11 season following the Olympics. The following summer, he and Samuelson announced the end of their ten year partnership, a year after the two had switched coaches. Evan and Madison take Silver! 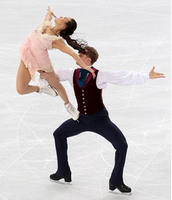 Listen to Madison Chock and Evan Bates' teleconference prior to the 2014 Olympic Winter Games in Sochi, Russia. Evan Bates and partner Madison Chock taking in some short practice time with gold medalist, speed skater, Apolo Ohno. 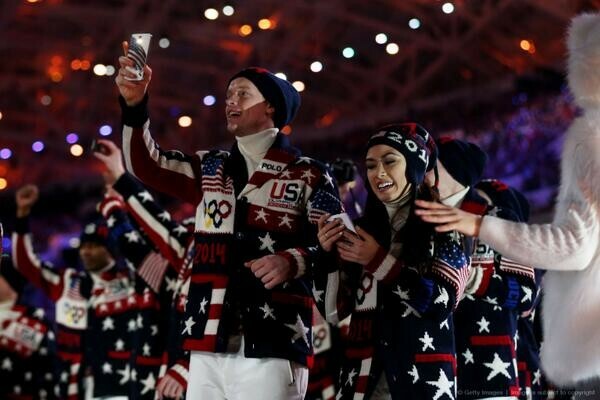 Team USA at the 2014 Sochi Olympic opening. 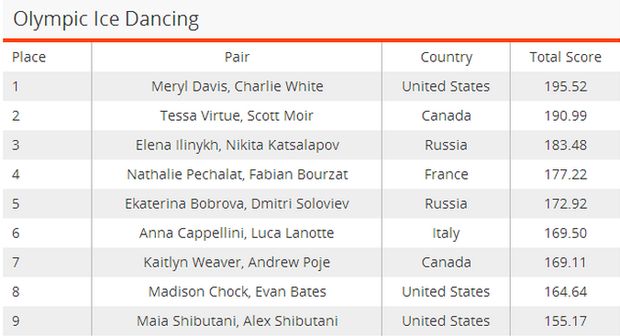 Evan Bates and team at the Worlds competition. The Emotion And The Power! Evan Bates and his partner Madison Chock finished eighth overall in the 2014 Sochi Olympics. Bates said “Leaving Sochi! Thanks for all the great memories and also for the birthday wishes :).” Even though he finished eighth he is very proud of himself and his partner, many think that Bates and Chock will be back in only four short years, strong as ever and ready to win. 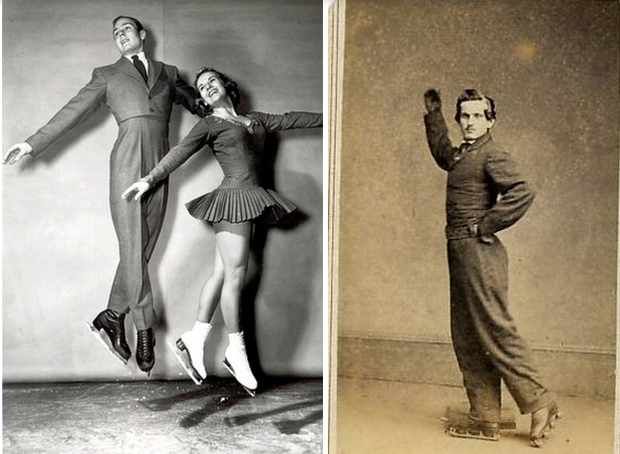 Costumes play a big role in Figure Skating. Have you ever thought what they looked like back then? Once every four years, we are treated to the world's greatest fashion show on ice.